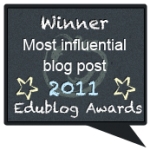 Mrs. Yollis' Classroom Blog: We've Joined an International Blogging Challenge! Firstly I can't believe the Panda didn't make a list of reasons to visit your blog. 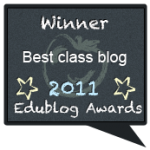 Secondly I am thrilled your in the class blogging challenge we've been involved for the last two years and really, really enjoyed the experience! I was thrilled to see your blog on the list too. 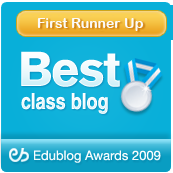 Your students are great bloggers and commenters! Thank you so much for our FIRST singing comment. We would like to return the song! Thanks for introducing us to Vocaroo! @ Mrs Yollis - Yes we enjoyed participating last year as I said, it was a great experience and particularly useful for our extension students! We are trying to educate as many people as we can about New Zealand because people confuse us with Australia all the time. I LOVED making the "Thank You song". I hope that Mrs. Cassidy's class hears our amazing thank you song. I hope we have another skype! I've enjoyed looking at your blog post. It is so interesting because of all the of all the video's helped me learn like the polygon video. I hope there will be even more marvelous posts. When I got to play in World Math Day, I played U.K and that was so cool. 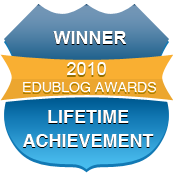 I think it is really cool that you signed up for the International Blogging Challenge, and I just wrote my post for the International Blogging Challenge. What is your favorite part about the challenge. 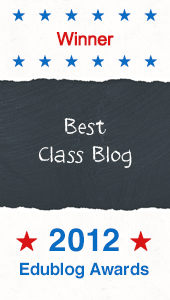 Thanks for visiting our classroom blog! We try to make learning fun and it sounds like we were successful! What grade would you like to teach when you graduate?